162 games ago, you would have laughed. The New York Yankees (91-71) and Minnesota Twins (85-77) will play in the American League Wild Card Game on Tuesday. The winner will face the Cleveland Indians in the Division Series. The Yankees were supposedly in the midst of a rebuild, and so were the Twins. But both teams became good really quickly and that led them to playoff berths. On Opening Day, Baseball Prospectus’ Playoff Odds Report listed New York’s playoff chances at 30 percent and Minnesota’s at 20.5. 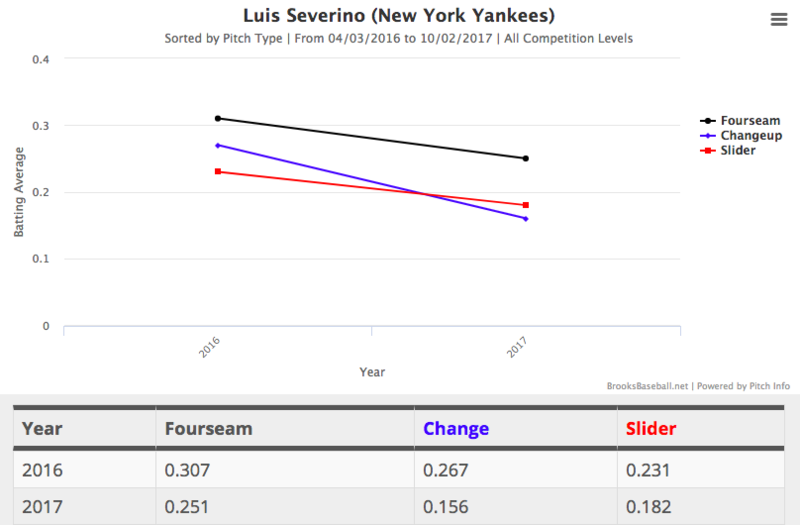 The probable starters for the contest are Luis Severino (3.05 DRA) and Ervin Santana (3.74 DRA), who each broke out in 2017. In six months, Severino has turned from fringe-rotational presence to ace. The young righty has increased his average fastball velocity steadily throughout his career. This season, it’s climbed from 97.26 in April to 98.12 in September. Additionally, Severino has been mixing in his offspeed pitches more. He’s using his fastball about 5 percent less than last season and his changeup about 4 percent more. In turn, batters are struggling mightily against his offspeed pitches. The Twins fall in the middle of the pack hitting-wise in most offensive categories, but they’ve excelled to an extent against righties, whom they’ve posted top ten rankings against in OBP (.355) and OPS (.777). On the mound, Minnesota throws out Santana, whose brutal track at the new Yankee Stadium includes an 0-5 record and a 6.43 ERA. Santana owns reverse splits, where righties are inducing a lot more damage against the veteran. His stats are still regressing from an inflated .212 first-half BABIP, but Santana has proven reliability and legitimacy. Minnesota’s cause for concern will be the Yankees bats, which have knocked a league-leading 51 homers since September 1. In that span, they also lead MLB in ISO and pretty remarkably hold the fifth lowest K% (19.4). Bullpens always play a big part in Wild Card games, and the Yankees have an upper edge in the relief department. The Twins dealt All-Star closer Brandon Kintzler away in the middle of the season, leaving an already inexperienced bullpen with less experience. Meanwhile, the Yankees boast the notable Dellin Betances-Aroldis Chapman duo, accompanied by Tommy Kahnle, David Robertson, and Chad Green, who have all impressed in the second half. 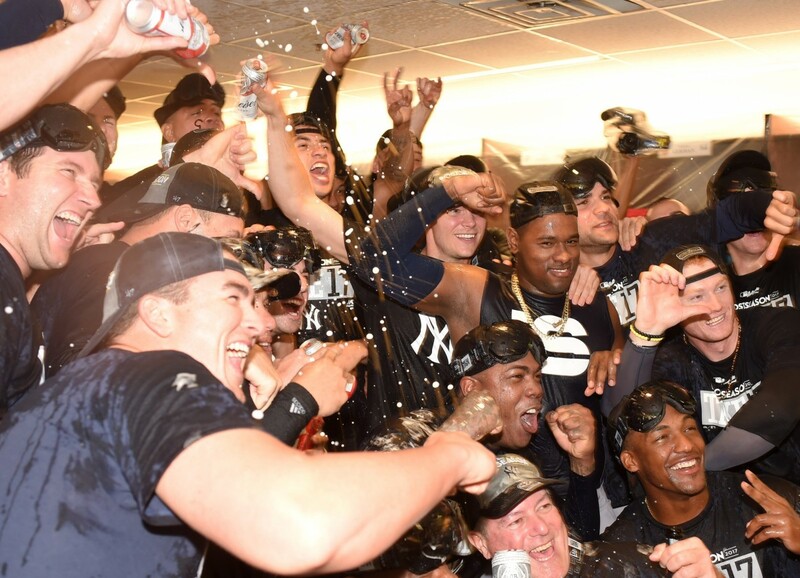 The Yankees are hot at the right time and they seemingly always beat Minnesota in the playoffs. The numbers suggest New York takes this one, but the Twins have been defying odds all year. Both teams have been wildly unpredictable, expect the game to be that way as well.